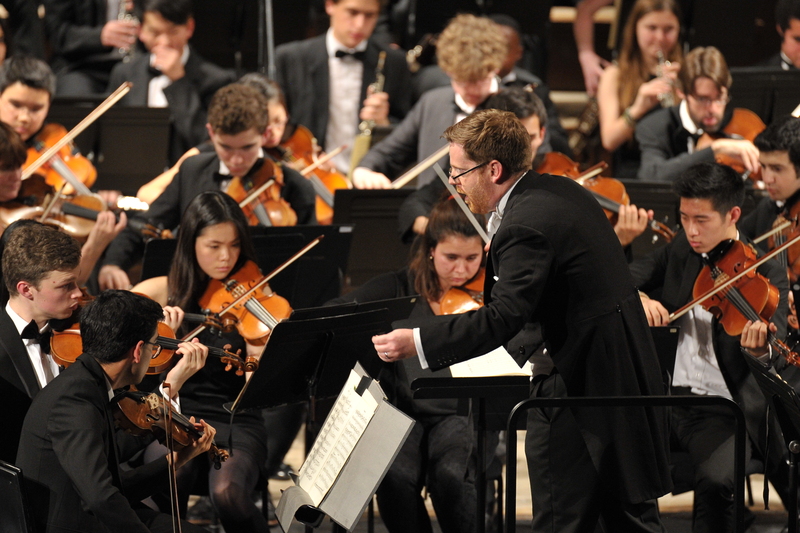 Music at Westminster is an integral part of the school’s life. All genres of music are celebrated, from symphonic works for our orchestras, and chamber music for a whole host of ensembles, to the worlds of pop and rock music and, of course, jazz. Singing is hugely important, and the school community comes together three times a week to sing in services. Pupils and staff alike are inspired by their surroundings, singing twice weekly in Westminster Abbey and performing regularly at both the Barbican and St John’s Smith Square. This really is a most unique place in which to live and breathe music. Music has always been a very important part of life at Westminster. Pupils are encouraged to learn and participate as fully as possible in a weekly routine which is full of rehearsals, recitals and concerts. Many internationally renowned musicians have been educated at the school including Sir Adrian Boult, Sir Roger Norrington, Ian Bostridge, George Benjamin, Julian Anderson, Sir Andrew Lloyd Webber, Gavin Rossdale, Mika, Dido and members of the band Clean Bandit. Westminster musicians regularly attend the junior departments at the Royal Academy, Royal College and Guildhall, and a good number are members of the National Youth Orchestra, National Children’s Orchestra, National Youth Jazz Orchestra and National Youth Choirs of Great Britain. The School is situated close to many of the world’s most exciting music venues on the South Bank and in the West End. Pupils are encouraged to attend concerts and recitals as well as performances of opera, ballet and musicals in order to extend their musical horizons. Up to twelve music scholarships (eight at 13+ and four at 16+) are awarded every year, with a large proportion going on to further their musical education at either university or music college. Academic music standards are very high and the teaching of composition is outstanding. The Manoukian Music Centre, an excellent facility opened in 2005, is fully equipped with a recital hall, recording studio, classrooms, practice rooms, rehearsal rooms and instrument storage to the highest standards. The Manoukian Music Centre and the School Hall both house Steinway concert grand pianos and, in addition, the Music Department houses a Goble harpsichord. There are three manual organs in the Recital Hall, School Hall and the School Chapel, and organ students are able to practise and receive tuition on the organ in St Margaret’s, Westminster. Our organists are also privileged to be able to play the Harrison & Harrison organ in Westminster Abbey during twice weekly school services.